Are you managing your online reputation? If you opened an account and created a LinkedIn profile than you do have a professional reputation to manage and will benefit from these LinkedIn profile tips to boost your professional reputation. The #1 mistake I see professionals make is not updating their LinkedIn profile. I can’t stress enough that it is not a one and done task. Many professionals think because they have a job there is no need to update their LinkedIn profile and that could not be further from the truth. Think of it this way, the average person works 46 years of their life, how many opportunities are missed to share your accomplishments, notable clients, skills you are known for, amazing projects you’ve been a part of and the glowing recommendations from clients and colleagues over the years. 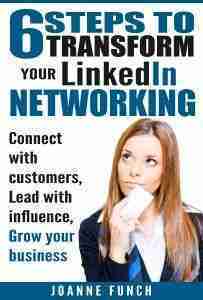 Your LinkedIn profile offers opportunity for lead generation when done professionally. The goal of your photo is to connect a face to a name. With so much being done online from business to dating, we all have had the experience of meeting someone for the first time and they don’t look at all like their LinkedIn profile picture. I can always tell when someone is not serious about LinkedIn, because they don’t take advantage of all the ways in which you can share your story. YES, LinkedIn is so much more than a resume – it is a multi-dimensional platform where you can expand and tell your story through words, images and video, share projects, let people know what you care about through your volunteer experience and the organizations you belong to. You can share all the accolades you’ve received over the years of your professional life through your recommendations and endorsements. There is no better way to build trust and credibility than through the testimonials of others. Your headline and your photo are the first stop in determining whether someone wants to learn more about you. 93 percent of communication is non-verbal and that is why first impressions matter! Your title and the audience you are trying to attract will play a part in your decision along with combining one or two key words. Putting in the name of your company is not necessary and wastes valued real estate because you list that further down in your experience section. Your goal is to attract the right people through key words combined with something compelling to encourage them to read more about you. Here are a few examples to help spark your creativity with your LinkedIn summary. We all have a personal/professional brand whether you have ever thought about it or not. in the summary section you have 2,000 characters to let people know what differentiates you, what makes you credible and find a way to build an emotional connection. • Know your audience and who you are writing the summary for. You only need to be visible to those who need to know you (could be colleagues, decision makers or prospects). • What do you want them to know about you – build your credibility. • Start your first sentence with something interesting, compelling, and that intrigues the reader to want to learn more. • Write in the 1st It is more friendly and inviting to the reader. If you have a hard time bragging about yourself, run it by a trusted colleague and have them help you write it. Additionally, you can download my Tips for a Smashing LinkedIn Profile. Having the correct skills in your profile are important for two strategic reasons. First, from an optimization perspective (SEO) skills are searchable, so be sure yours are complete and best represent what you want to be known for. I always recommend the top ten skills be those that are most relevant to where you are at any given time in your professional life. You can add up to 50 skills and those that auto-populate when you type them in are the ones that LinkedIn is tracking in their algorithm, be sure to use their term and not yours if it is different. You can manage your skills section from the edit mode and you have the ability to drag and drop moving skills up or down in the order. For anyone seeking a new job this section is very important because LinkedIn’s Talent Solution or recruiter package allows recruiters and hiring managers to search for candidates via specific skills. Endorsements are people giving you a proverbial high five acknowledging you have a skill. Does it matter? Yes if those endorsing you are credible. Recruiters do put some weight on both skills and endorsements when deciding on job candidates. The importance of recommendations has grown. Think about the last time you made a purchase on Amazon, did you read the recommendations on the product and did it influence you buying decision? How about review sites like YELP – did you check out the reviews from a restaurant you want to try? We are a society who now makes all types of decisions based on what other people have experienced from doctors to lawyers and everything I have already mentioned. So hopefully you see the value in getting good recommendations along your professional journey that speaks to your great skills and service. Building both your credibility and authority with testimonials of your skills and expertise is an important component of your LinkedIn profile. To learn how to specifically ask for recommendation that are credibility building download my guide: How to Ask For Effective LinkedIn Recommendations. This is an optional area of your profile but I think it says a lot about your character. If you volunteer or have in the past I recommend you add this to your profile along with listing the causes you care about. Think of this also as an opportunity. When you view others profiles look for what you might have in common and often you can open a conversation with sharing the same passion for a specific organization. First let me say if you don’t want to be contacted you probably should think twice about being on LinkedIn. After all, this is a networking site where professionals can connect and meet other professionals. You can be very specific as to the type of professionals you are interested in connecting with allowing you to vet people ahead of time, but this is a nice way of letting people know what your professional objectives are. By your willingness to add an email address and perhaps a phone you are making it simple for people to reach out. The flip side of that is when people can’t find a way to easily contact you they will move on to someone else. After you have improved your LinkedIn professional profile, improve your presence across multiple social media platforms, like utilize Google Plus and Facebook. As I mentioned through -out this article you are building and maintaining your professional brand. Images can enhance and tell your brand story. Take advantage of the header space on the top of your profile. You can upload an image that is 1400 x 425 pixels. It lays behind your photo and headline portion so be sure if you are adding text it shows up outside that area. 2. Upload a white paper or report in the form of a PDF that can be downloaded and supports the section of the profile most suited to the report. 3. If you do any training or speaking – upload your power point presentation to your profile. It will ask if you also want to add it on SlideShare which as the name indicates is a platform to share slides. This platform is highly searchable by keywords and will aid in your overall search results. 4. Video can be added simply by adding a You Tube link. This is a great way to share a promotional video that talks about your brand. People love video and this is also searchable via keywords. When was your last status update? Last holiday where you wished everyone good tidings? The more active you are on LinkedIn the more effective and results driven it becomes. A status update shows up on the homepage feed of everyone in your network (well, maybe not everyone because we are not sure of how the LinkedIn algorithm works) but you get the idea. Status updates on LinkedIn should be relevant to your expertise, educational, upbeat and when possible @tag another person either giving them credit, sharing or shouting out. Just as with other social media sites you have to engage with people. You want to be seen, share, and cultivate relationships. To do that requires be intentional, thoughtful and willing to invest time. Being in a LinkedIn group is the opportunity to connect with like-minded people, engage in meaningful conversation and share your credibility. All groups are now private groups and that means you need to be invited to join. You probably already know someone in a group you want to join that can invite you in. One strategy is to look at your competitor’s profiles to learn which groups they might be involved with that you should join. You can see developing a profile on LinkedIn is just the beginning of managing your professional reputation. Once you have a profile you are proud of you will want people to see it and that means inviting people to join your network and then being engaged in conversation with those connections. LinkedIn is a powerful business- building tool that will boost your professional reputation, Investing as little as 30 minutes a day will compound your results over time. Those people who show up consistently, continue to build a mindful network, demonstrate their authority and engage thoughtfully will stand out and get the results they want. Help building your professional reputation on LinkedIn and additional professional LinkedIn services. So many actionable tips that can make an instant impact on your online reputation and profile. thanks Kristen for the comment, hope you are taking action. Great article JoAnne Funch! Breaking down your LinkedIn profile into manageable pieces for greater impact.